Professionals working in the field of project management frequently ask if becoming a certified project manager helps to have a better career. They attend many courses, online project management certification programs, webinars and trainin programs to improve their knowledge. 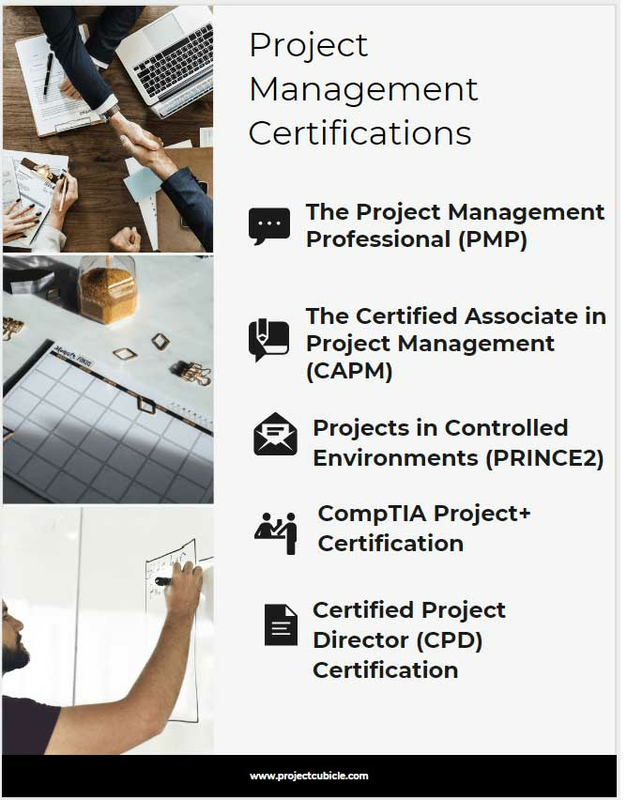 Many experts interest in different project manager certification programs and try to find out which certification best suits their business. In this short guide we will analyze each certification and provide inputs for your decision making. Why Do You Need a Certification ? A project management certification tests your knowledge, competence and experience as a professional. However getting certified does not mean that you are good and efficient project manager. In other words, you learn the basics of project management but this knowledge is not directly applicable to the day to day job. You need also project experience and essential skills to become a good project manager. That’s why many professionals don’t have a lot of love for project certification. Some project managers think that it is just a waste of time. However that is not true. Getting a project management certification provides many benefits to the professionals. If you want to hold a project manager position at a company, getting certified will help you to open doors. According to the researches, companies prefer certified professionals rather than their non certified counterparts for significant projects. According to the PMI’s Project Management Job Growth and Talent Gap Report , certified project managers earn more than their non-certified counterparts. Perhaps the most important benefit of getting certified is that a project management certification provides a common language among the professionals in the field of project management. A certification itself does not make you a good project manager but it furnishes you with knowledge on the processes, practices and frameworks. Now we will give the details for some of the best programs currently available. The Project Management Professional Certification (PMP) is one of the most common project management certification in the world. More than 850,000 professionals are currently certified. It is a globally acknowledge credential offered by the PMI. The exam is based on the PMI’s PMBOK Guide. The PMBOK Guide emphasizes five project management process groups and ten knowledge areas. The Certified Associate in Project Management (CAPM) is an entry level project management credential offered by the PMI. It recognizes the professionals understanding of the fundamental knowledge, terminology, and processes in the field of project management. In both cases you must retake the exam every five years to mantain the certification. PRINCE2 is a project management method which provides frameworks to divide projects into manageable and controllable stages. It is based on seven principles which keep the project aligned with the PRINCE2 methodology. The PRINCE2 Foundation is an entry level certification which tests your basic knowledge in the field of project management. PRINCE2 Practitioner is an advance level certification that tests your sufficient knowledge and understanding of project management. A foundation course is required for the PRINCE2 Foundation. You must retake the exam every three years to mantain the certification or you can maintain your certificate through membership. The CompTIA Project+ is an entry level certification which involves essential concepts beyond the scope of just one methodology or framework for project management. It is a beginner level project management credential applicable to small and medium sized projects. At least one year of project management experience is recommended to get certified. The Associate in Project Management, administrated by the Global Association for Quality Management is an entry level project management certification. The Certified Project Director, administrated by the Global Association for Quality Management is a highest-level project management credential. It is designed for senior project managers who are working on multiple or complex projects. It is a great credential for project managers who perform portfolio management. Must pass the PMP, PRINCE2 Practitioner, or CAPM. You must retake the exam every five years to mantain the certification or complete the E-Course. In this article we analyzed most common project management certifications. Beyond these many colleges and universities offer various certification programs to the professionals. No matter what your position and education level is, you can choose one of them that suits your business and attend training programs to take your career forward.